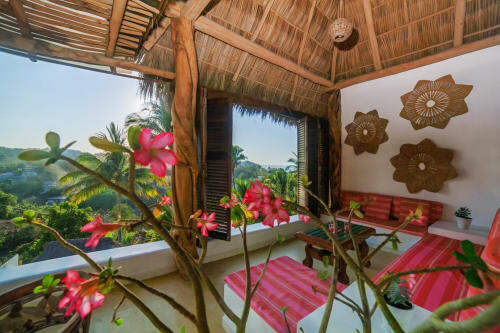 Casa Tocayo is a wonderful beachfront vacation condo in Sayulita Mexico with amazing views of the Sayulita Bay and surf break with perfect waves just outside your door. The shared complex swimming pool is right in front of the house and has a "children's" section for your kids, surrounded by lawns and lounge chairs. Available in 3 options: ---Entire house 4 bedrooms and 4 baths with 2 full kitchens, or ---3 bedroom and 3 bath apartment , or ---1 bedroom apartment with king bed and 2 bunks. The housekeeper, comes 5 days a week to clean for you. Both units come with beach chairs and a beach umbrella. Casa Tocayo comes with air conditioning in all bedrooms, two well equipped kitchens. The house is in a complex of Mexican vacation homes which share the pool and common beach front court yard. Only minutes walking by the beach to downtown Sayulita. 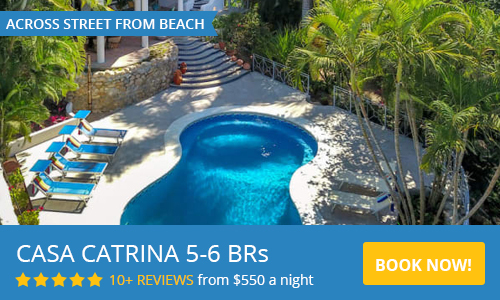 This is a great location for a family or group of friends looking to enjoy Sayulita. The brand new rooftop suite is covered by a local tropical hardwood pergola and roof structure, showing off amazing natural beauty that radiates to the ocean view from the bedrooms large window and sliding glass door that opens to the covered patio with seating for happy hour and coffee hours. The patio looks out over the pool and the ocean with whisping coconut palms in between. The rooftop suite has one large bedroom with a super quality king size mattress, and a small sofa, chaise lounges and a hammock are available outside on the patio. 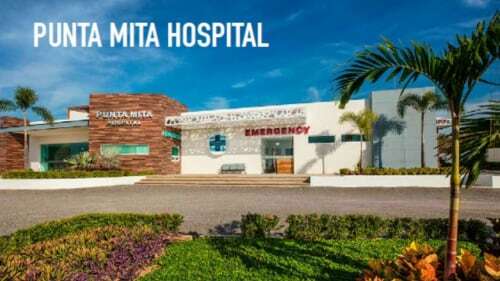 The suite is air conditioned and the bathroom is huge and includes two showers, an integrated open air bathtub, and a bench along one entire wall, above the sink is a window that looks to the Pacific. We had a great stay at Casa Tocayo, perfect set up for family vacation. Lucas was very helpful as well and extremely responsive to any of our questions or concerns. We stayed at Casa Tacayo Just after Christmas. We loved the accommodations and the location. Perfect for our Family of 13 ranging in kid ages from 12 to 24. 2 of us stayed next door at Casa Palmer in the penthouse. Great outdoor/indoor spaces. Comfortable with lots of beach towels and chairs. We spent our days lounging at the beach, surfing and playing cards. Kitchen are fully equipped. Easy walk to Sayulita main square, no noise. Would not hesitate to recommend, we will be back. Amazing! We loved staying here. Casa Tocayo was the perfect place for us to stay. My wife and I stayed on the top floor, while our children and their families stayed on the 1st and 2nd floors. With two kitchens, there was always ample room for cooking or enjoying beverages. We were across from the pool and just a few steps to the beach. The condo came with every amenity we could want. The owner, Lucas, was very approachable via email and responded quickly to any inquiry. We were here for our daughter's wedding and this place made our stay most memorable. We will stay here again when we return to Sayulita. Our group of 9 loved this house! It had everything we needed for everyone, we had kids from age 5-22, and they all had a great time. Whether they wanted to be in pool or on the beach, both are steps away and can be seen from house. Plenty of fresh water and cooking needs, we had everything we needed. Muchos gracias to Lucas and Brenda the housekeeper! Casa Tocayo is on the beach, literally steps away, and then a 5 min walk along the beach to bring you to the bars/restaurants/sun loungers. The houses laid out on 3 levels, you can rent one or all. Extremely clean, well stocked with beer (great on arrival), coffee and water. Towels and sheets changed daily, unit cleaned daily. Good fans, air conditioning and wifi. Security in the area right and day (not that it's needed, feels very safe). Very close to downtown without having the noise of downtown. If you want a break from Mexican food, the best pizza in town is just outside on the street level. Highly recommended. Just returned home from an amazing stay at Casa Tocayo!!! We loved the proximity to the beach, beautiful views and all the little touches throughout the property, can’t wait to go back! The renovation is beautiful. Everything was immaculate and accommodated our group of couples with the neighboring unit. Noise easily carried through the courtyard from other neighbors and joyful kids, but that is expected in a shared space. I felt safe and it was very clean here. Our host and housekeepers were very friendly and professional. Perfect location just north of downtown with the added touch of off-street privacy and a pool area. Found a secluded beach within a 30 minute hike north. I would highly recommend this place. This is open air living at it's finest. The bedrooms all have air conditioning, the beds are confortable. Towels, dishes were all good. From this facility you can see and hear the ocean. A short walk takes you to a wonderful sandy beach that allows for wonderful walks along the shore. Bottled water, a good refrigerator and daily housekeeping made this a perfect place for a lovely retreat. This place is amazing location. Just few steps from the beach. Dining right outside of the gate. A few notes to be aware of... The kitchen is outside which was a surprise that we liked, but if we had smaller kids the bedrooms opening to the outside would have been a problem. Also the power went off 5 of the 7 nights while we were there. Still our stay was awesome!! We accept PayPal for your security. If the dates you are looking for are not available, please check next door Casa Palmar for availability.